According to the guide, there was a 68% increase in the number of U.S. adults using Twitter for customer service in 2014. Vocalcom, a leading global provider of contact center software and cloud customer contact technology helping businesses deliver a seamless and personalized customer service experience, has announced that it will release shortly its social customer service solution for Twitter through the integration of Twitter's new ecosystem solutions-a suite of data products and functionality designed especially for enterprises with the interest of building the next generation of customer service solutions. With this solution, Vocalcom cloud contact center software will offer rich context about customers, gain insights from customer service interactions, and prioritize conversations that need attention. This past week, Twitter cited the growing importance of the social platform as a customer service tool and announced that it had launched an initiative to take customer service to the next level by creating a suite of data products and functionality designed to provide companies with the essential tools for delivering optimal customer service. The suite offers detailed contextual insights about customers, rich analysis of tweets with internal company data, and advanced metrics to measure brand audience-all while creating a delightful experience for customers. It's full of real world examples from companies like Hilton (@HiltonSuggests), Best Buy (@BestBuySupport), Comcast (@ComcastCares), Spotify (@SpotifyCares), T-Mobile (@TMobileHelp) and Microsoft (@LumiaHelp). In addition, brands will have greater access to their public tweet archives reaching back to 2006, enabling them to better understand customers' needs. Twitter further unveiled the publication of the Twitter for Customer Service Playbook, a guide for companies with detailed information on the key steps and best practices for using Twitter to deliver exceptional social customer service. The guide further features numerous case studies from global organizations that have achieved exceptional customer service success using Twitter as a platform. According to the guide, there was a 68% increase in the number of U.S. adults using Twitter for customer service in 2014. 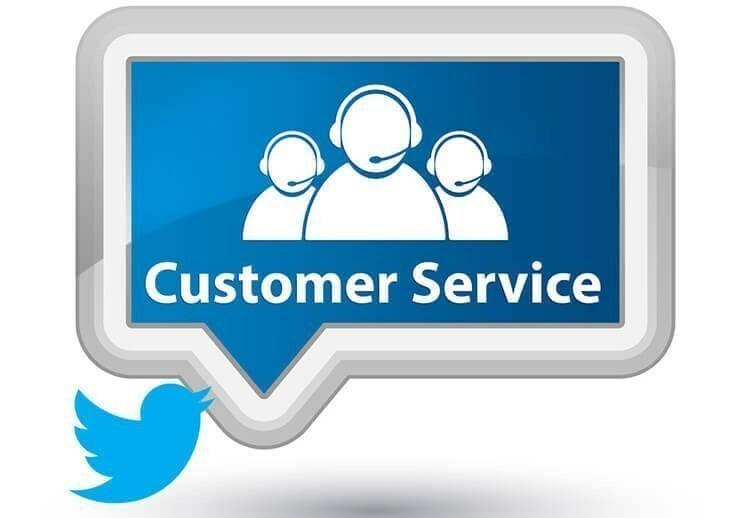 The Vocalcom social customer service solution with the new Twitter ecosystems integration offers numerous benefits. For one, brands will be able to respond more quickly to customers at one-sixth the cost of a traditional voice customer service call, or up to 80% per interaction compared to phone calls. Customer service satisfaction is also set to grow, as the playbook cites that tweets targeted at major brands' customer service Twitter accounts have increased 2.5 times over the past two years with the potential for 97% customer satisfaction. Indeed, 85% of customers who have a positive customer service interaction are likely to recommend a brand to others, and many companies have reported that Twitter has played a key role in their customer satisfaction feedback. The real-time nature of the social platform further allows for more efficient, personalized service as customers increasingly demand 24/7 availability from brands. The solution also offers new sales opportunities as brands are able to proactively engage customers, analyzing tweets to better understand customer needs and creating marketing and customer appreciation opportunities to both attract and retain customers. For example, if a Twitter user tweets a question regarding finding the best pair of running shoes (not necessarily directed at a brand), a shoe brand using such a solution would be notified of this tweet as data and will have the opportunity to reach out to the user with a marketing offer: namely, a link to the perfect pair of running shoes. Similarly, if a customer tweets his satisfaction or concern with a brand, the data will be fed to customer service and allow agents to address the issue or reach out to the customer with a gesture, such as a coupon or special offer or simply a thank you in appreciation. Lastly, the solution allows for continuous insight and analytics that observe topic trends across tweets, customer service team responsiveness, and generally the needs and behaviors of customers-all critical to developing strategic approaches to driving brand success. Vocalcom Social Care gives you all the tools to match ever-loftier customer expectations, with personalized service that's faster, more efficient and more relevant. With the new integration, Vocalcom social customer service software for Twitter ensures that companies may optimize the customer experience while cutting costs, building a brand asset, and tapping into new sales opportunities. 0 comments on "Vocalcom Adds Social Care to its Contact Center Software to Ensure Smarter, Faster and More Efficient Social Customer Service on Twitter"